The work in the vineyard is carried out in a traditional way, without chemical fertilizers and herbicides. 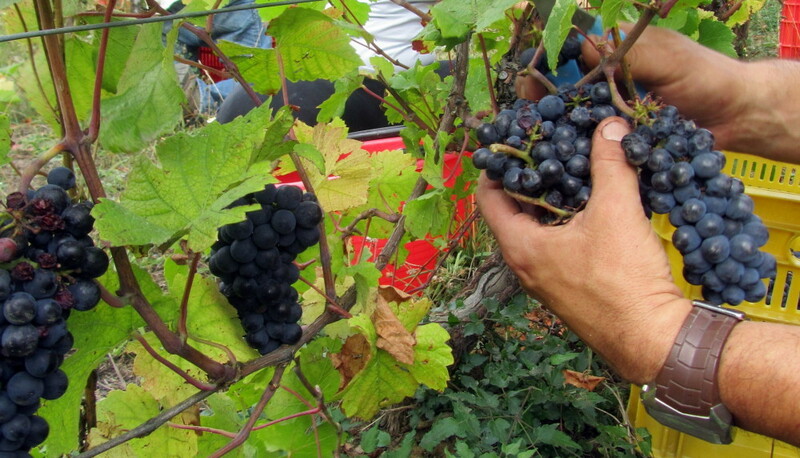 Harvesting is done manually by selecting the best grapes directly on the vine. For the pinot noir, the alcoholic fermentation is carried on along with maceration on the grape skins, and may vary from 20 to 40 days. The wine is then aged in wooden barrels (500-liter tonneax and 228-liter barriques) usually for 12 months, and up to 18 months in some cases. Maceration on the skins is also used for white wines, as was traditionally done in the past. In the cantina (cellar), we do not use commercial yeast, but only native yeasts, which are undoubtedly of paramount importance to produce a special wine, a true son of the terroir. We do not perform chemical or physical interventions before or during the fermentation, we do not concentrate the wine in any way, nor do we correct any chemical parameter. Quite simply, the wine ripens on its fine ferments until bottling time. Finally, the product is not filtered, and this is why you may find a bit of sediment in the bottles.